SWEET! by Blue Sky packages vary to meet our clients’ needs. Each site is built for YOUR campaign or event. Your vision, your way! Your fundraisers raise more & your organization will keep more. Clients who switch save 50-75% on average on costs. The numbers tell the story. Let us show you the math. Our predictable pricing creates freedom for fundraising dollars to go back into your organization. All the Features You Need & More. AVAILABLE. See if you qualify. 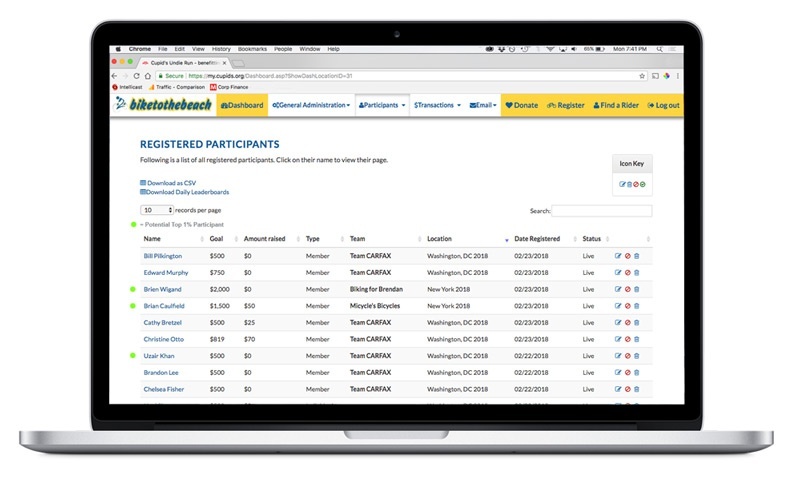 Browse our demo site to view some of our standard event peer to peer fundraising features. Set up a demo to see all our features and get a view of our admin dashboard reporting with real-time metrics.